Ok so these are for sale. Shipping will be $5 AUD to anywhere in Aus - if you buy more than one it will still be $5 shipping. 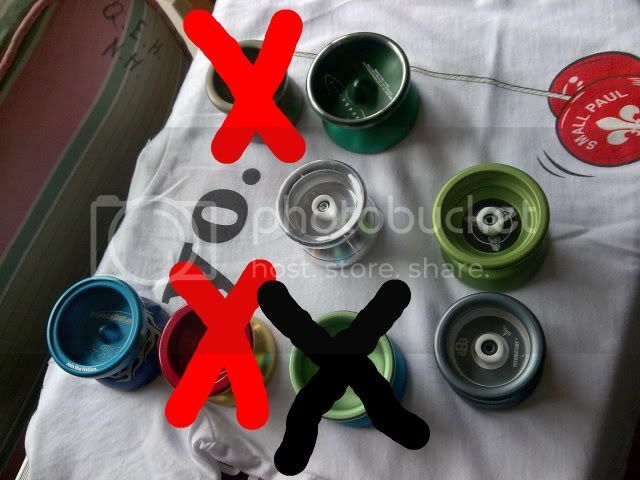 if you want any other pictures of a particular yoyo then let me know. If I didn't just buy an i7 I would totally be all over that bape. bape! wow some nice things on offer! how much would I be loking at if I wanted the gunmetal 888 or the 08 888? Basically if its a decent offer I'll consider it..... Offer what you think its worth to you and I will respond accordingly. Ok, as people can't realize that this thread is ancient I'm going to post here saying I am NOT selling these anymore. I don't have access to them as I live on one side of the World and they are all on the other.